Here are two more bowls that I made some time back and forgot to post. The first is made from some leftover white ash that I used in the making of my workbench. 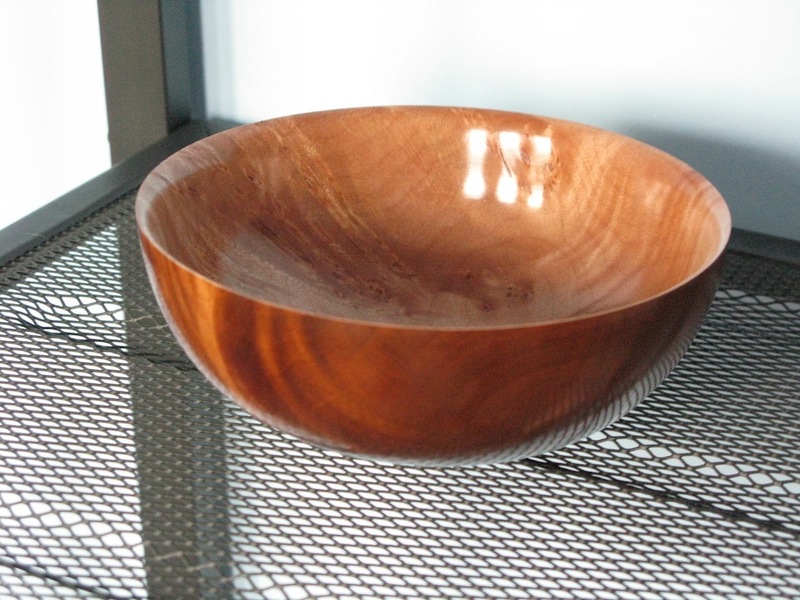 I splurged on some 12/4 white ash for the legs, and the off-cut became this bowl. The diameter is approximately 10″, and because there were a couple of cracks, I decided not to push my luck when thinning it out, so it’s a little heavy. It now holds candies on my grandmother’s coffee table. I believe I used wipe-on polyurethane for the finish on this one. And this second bowl was a piece of maple burl that I picked up at a local hardwood dealer. 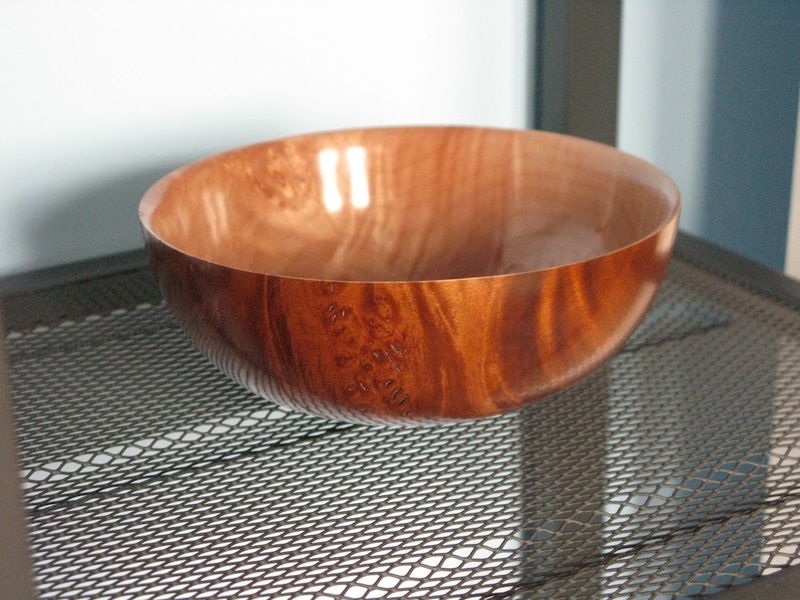 The outside is dyed with aniline dye from Lee Valley and it is finished with shellac and wax. The photos do it almost no justice. The walls are just slightly less than 1/8″ thick. 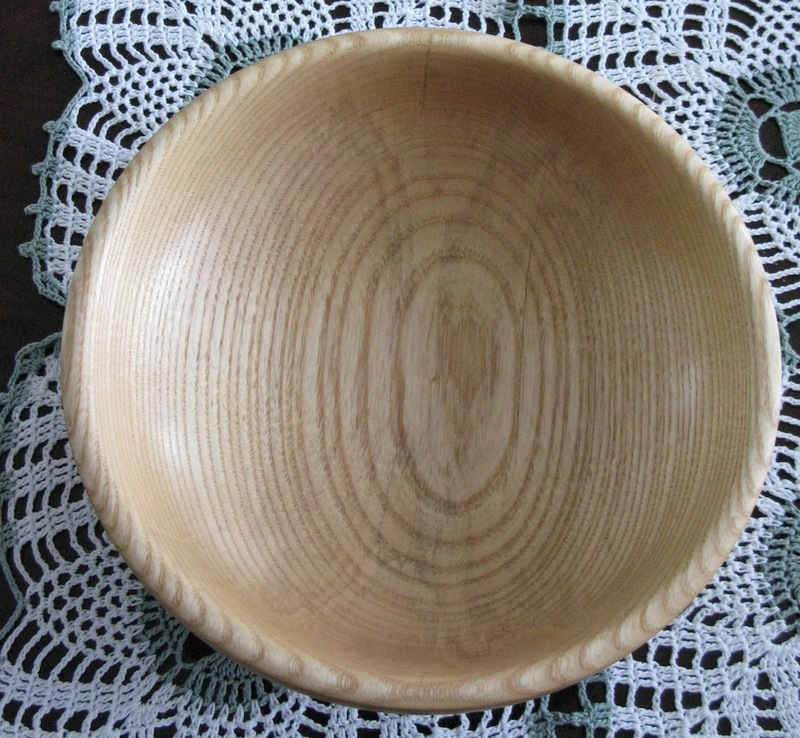 This piece was very well dried and behaved itself very, very nicely – practically no warping at all. I have another, slightly larger piece of this stuff that I think I’m going to do something similar with, but I’m going to be a little bolder with the contrast of the dye next time. The form is pretty much as simple as I could keep it, and it is very light and delicate.